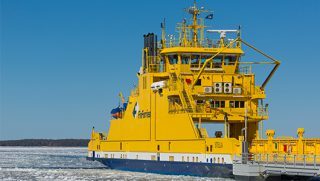 UK-based Rolls-Royce and Finnish shipowner Finferries will jointly develop strategies and solutions to optimise the safety and efficiency of marine operations. This will be undertaken through developing the technology for decision supporting systems, the companies informed, adding that they would also demonstrate remote and autonomous ferry operations. Under the collaboration agreement, the parties said their key focus will be to consider a new research project, called SVAN (Safer Vessel with Autonomous Navigation), whereby Rolls-Royce and Finferries will look to implement the findings from the Advanced Autonomous Waterborne Applications (AAWA) research project, which formally ended in late 2017. Funded by Business Finland, AAWA brought together a number of stakeholders from a myriad of shipping industry sectors to research the commercial and technical viability of a next generation of advanced ship solutions. Both Rolls-Royce and Finferries were involved in the project. “This new collaboration agreement could take safer, cleaner shipping to the next level. Rolls-Royce will develop solutions to enhance the safety and efficiency of marine operations in the ferry sector, which will be demonstrated in the test platform provided by Finferries,” Karno Tenovuo, Senior Vice President, Rolls-Royce Ship Intelligence, said.